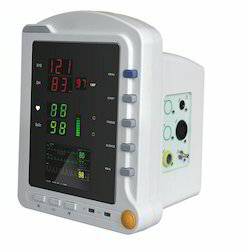 Pioneers in the industry, we offer fingertip pulse oximeter, tabletop pulse oximeter (model no:-cms-70a), table top pulse oximeter with nibp (model no:-cms -5100), handheld pulse oximeter cms-60 c, handheld pulse oximeter cms-60 d and fingertip pulse oximeter with alarm beep sound from India. 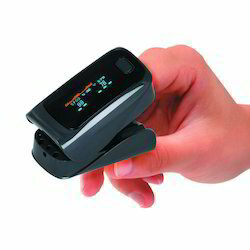 We are actively engaged in presenting a wide array of Tabletop Pulse Oximeter to our patrons. Our Spo2 Probes have elevated frequency response. We offer standard quality Spo2 Probes to our respected patrons and at affordable price. Our Spo2 Probes are unique as they are manufactured using premium quality raw materials which are procured from certified vendors of the market. 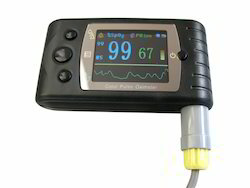 Our Spo2 Probes are used extensively in medical field for monitoring the patients. Our offered Spo2 Probes are contamination free and safe. 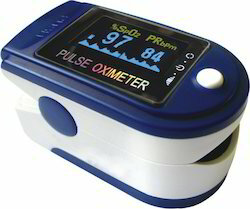 To meet the diverse requirements of our patrons, we are offering high-grade Table Top Pulse Oximeter with NIBP. The offered range of pads is developed by our team of professionals in tune with the global quality standards and norms. Our valuable patrons can avail this pad from us in varied configurations and other specifications as per their requirements. These offered pads can be easily availed at cost effective price range. Display: Color OLED display and four direction adjustable with six modes. 2. Four directions, six display modes , Lithium battery, Type-c interface charging, automatic shutdown function, saving power. 4. Display SpO2, PR value, blood oxygen bar graph, pulse waveform.